China (MNN) – When 20 world leaders get together, there’s bound to be some tension. Before the summit, the United States Commission of International Religions Freedom (USCIRF) urged President Obama to discuss religious freedom with President Xi Jinping. And while he seems to have taken this advice, according to several news stories, it doesn’t appear that the conversation was productive. Outside of China, it’s hard to get a feel for how things are in China. For many of us, it seems like China is doing a lot better when it comes to human rights than they have in the recent past. Photo courtesy of Vision Beyond Borders. Patrick Klein of Vision Beyond Borders says that’s not really true. He cites an event that took place a little over year ago. An explosion in the busy city of Tianjin killed over a hundred and left several hundred injured, says BBC News. According to the Washington Post, media coverage of the event was heavily covered, and independent blogs and video postings were taken down. The USCIRF says discrimination from authorities and the government has targeted Christians, Muslims, Buddhists, and Falun Gong practitioners alike. This includes torture, forced disappearances, imprisonment, etc. 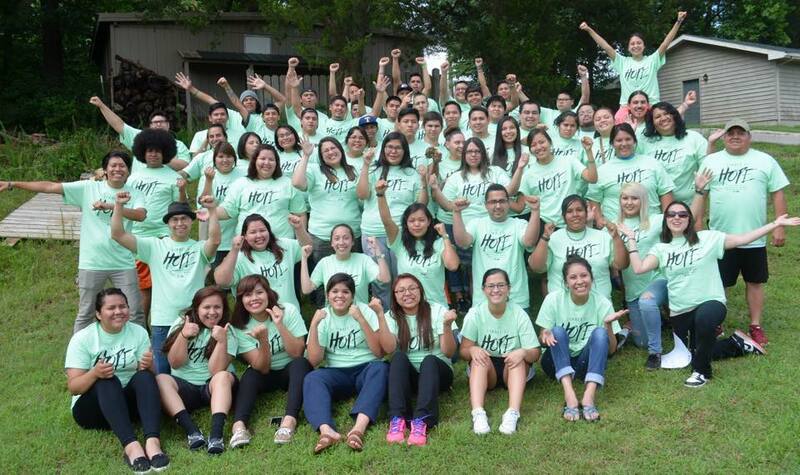 Ministries like Vision Beyond Borders sees examples of this first-hand. Klein has been visiting China for 30 years. He says what’s happening there is a good reminder that ultimately, our hope is with Jesus Christ. Earlier this year, a government-backed church demolition ended in the death of a pastor’s wife. China Aid says they both had been buried alive, but his wife wasn’t able to escape and suffocated under the rubble. Klein says the government finally allowed Churches as long as they were registered. They thought that Christianity would die out with the older generation. But that’s not what happened. Instead, Christianity grew, and quickly. Some might think this looks like a move towards religious freedom for Christians. Why not just join a government Church? But the truth is, it enables the government to control the Church better, and therefore do its best to blot out the Gospel message. “What the government is saying now is they want to bring all religions under the umbrella of the communist party. Which is to say that the first devotion is to the government, not to God. This is why many Christians choose to meet secretly instead. BBC did an article earlier this year which goes into detail about why Christians make this decision even under the risk of punishment. When the Government church preaches that Jesus would be a communist if he walked the earth today, the political influence in these churches becomes obvious. Vision Beyond Borders, who works to provide Scripture materials worldwide, disagrees with registering with the government to protect the Message from being muddled. He says even the Bibles used in these churches often have to remain in the churches. They bear the stamp of the government. Even if Scripture hasn’t been tampered with in these government controlled copies, it limits the Christians ability to study it for themselves. “We believe you should be able to have access to the Word of God anytime you want it, 24/7,” Klein says. And that’s what they work to do, though he says you have to be careful. Christians can legally buy a few copies of the Bible, but once they purchase a few too many, they will be followed—their congregation found and shut down. BBC says there may now be more Christians in China than registered members of the Communist party. This is exciting news. 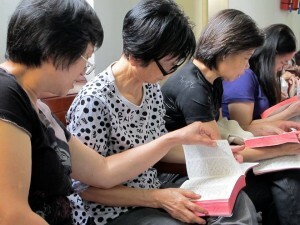 But there are many, many Christians who are still without Bibles in China. It’s a reality many of us can’t even imagine, some of us having multiple copies ourselves. If you would like to help, the first step is to pray. If you’d like to support the life-changing work Vision Beyond Borders is doing, click here. 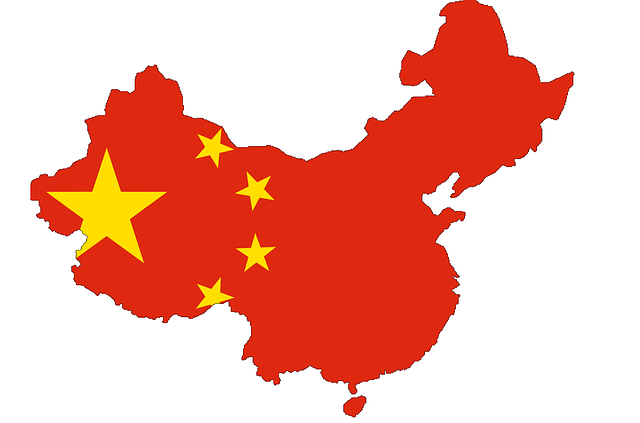 God allow the Gospel to be spread in China and encourage people to follow Jesus. Protect Klein and the whole who are helping. Thank you for this great reminder . It’s Christians in China need our prayers. 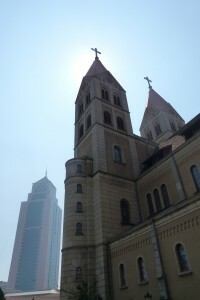 Pray for the Church in China. Ask God to break through the chains of communism. Support VBB as they get Bibles into the hands of believers.